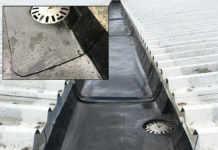 Metal rainwater systems manufacturer Alumasc Rainwater has announced that it has improved its lead times across its range. Customers now benefit from reduced lead times on its contemporary pressed and extruded aluminium gutters and downpipes and standard Skyline Copings. 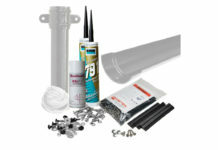 This follows the recently reduced lead times on Alumasc Rainwater’s Heritage Cast Aluminium range. Pete Wainer, national sales manager at Alumasc, said: “Reducing lead times for our Heritage Cast Aluminium, from 10 working days to 7, has proved so popular with customers we’re now offering faster lead times for all our rainwater products. 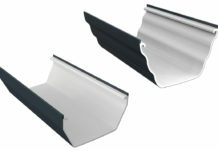 Our Contemporary range in particular is available much quicker than before; with products such as Aqualine Extruded Gutters in a polyester powder-coated finish now available in 12 working days, down from 20. Next articleGrey is the new white!